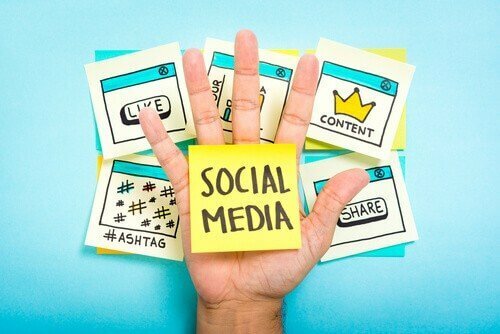 In today’s age, if you have a business, utilizing at least one social media platform is imperative for growing brand awareness and driving traffic to your website. If you’ve been wondering why your follower count is going up as fast as you were hoping or notice that you’re getting little to no engagement on your posts, it’s time to stop mindlessly posting a photo or writing a quick 280 characters. Not exactly sure how to improve your social media content? Consider making these changes. Over the last few years, many businesses and companies have reduced robot-like responses and began to utilizing responses that sound like friends speaking to one another, which has vastly improved relationships. By showcasing your personality, cracking jokes, and engaging with users on social media will help people to get to know your business on a personal level. In addition to being more “human” in your responses, utilizing emojis, sharing a behind the scenes look of the daily operations of your business, and posting photos of your team will help users engage with your posts even more. We’ve said it before and we’ll say it again – posting to your social media on a consistent basis is crucial for growth, brand awareness, and engagement. Take an hour each month to map out the content you want to be sharing each month with an editorial calendar, what days you want to be posting, and schedule out those posts via Hootsuite or another scheduling tool. This will help keep your posts consistent and when things get busy, you won’t have to worry about finding your phone and finding something to post for that day. Social media posts that include a visual tend to be noticed more by users scrolling through. Catch the eye of the user and keep brand consistency throughout different platforms (and your website!) by posting images, graphics, and even gifs! Behind the scenes looks at your office, job sights, etc. No two social media platforms are the same, but that doesn’t mean you need to be on all of them. Consider your target audience, where they are located, and the information that you will be presenting them with. If you’ve never utilized social media before, start with one or two platforms and expand from there. Whether it be advice, free consultations, discounts, or something else, producing exclusive content for your social media platforms will help engage users even further. If you opt to do this, doing research beforehand to see what users would want from a business in your industry will help narrow down your plan.